Every two years the town of Wangaratta, in the north east of Victoria, hosts the Stitched Up Textile Festival. Part of the fun for 2017 is a group exhibition with the theme of 'Seasonal Stories'. Of course, most of us in my textile gang, Tenfold Textile Collective, signed up to participate when the call went out this past May. 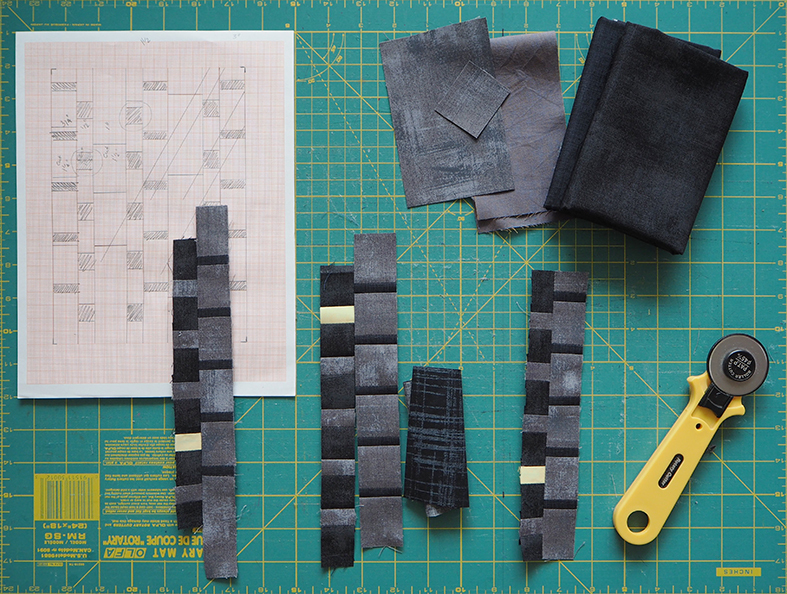 We have to produce a work every three months using our preferred textile technique, with the only requirement being that the pieces must be A5 (21cm x 15cm) in size. The first deadline fell just after our exhibition so we all requested an extension. However, I was determined that Winter and Sprint would arrive in Wangaratta for the next deadline. I've chosen to make a series of mini quilts – probably no surprises there. I could have gone with embroidery, but the time investment is just too great for me at the moment. I've had a pretty clear vision from the beginning, with the intention of trying out some new textural techniques and having colour palettes reflect the various seasons. I started with Spring partly as that was the season we were supposedly in (but having reached the end with barely a day above 20ºC, I think we skipped it) and partly because I prefer working in colour. This one was really just improvising as I went, and apart from a change in binding approach, it was pretty straightforward. 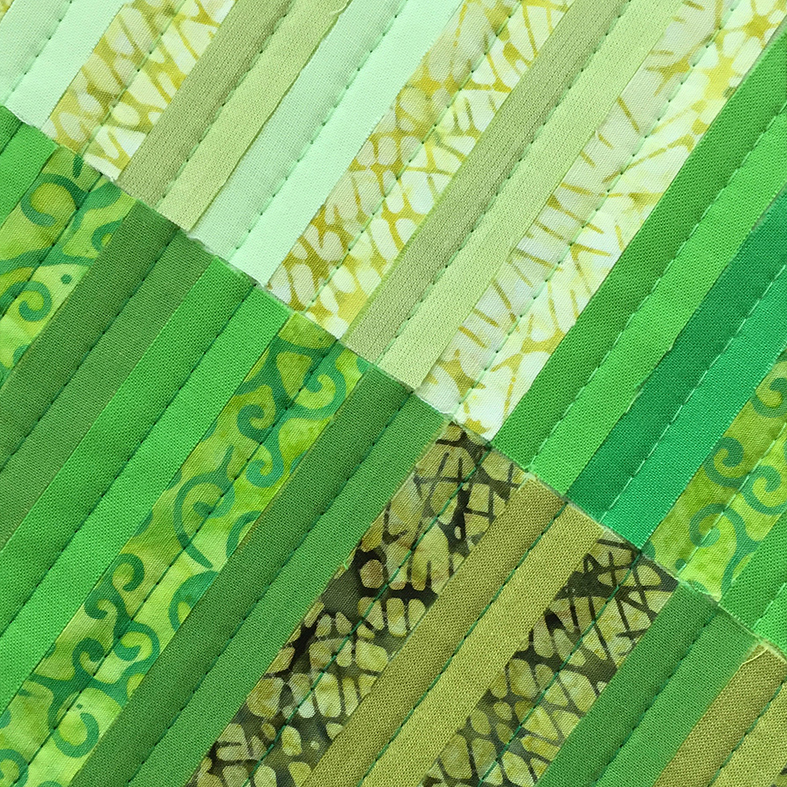 'Spring Planting' mini quilt detail. Winter was originally going to go the same way, but the reality of working with such a small size for the first one, made me try plotting Winter out on graph paper first. It's the most formal of the pieces, so it was definitely worth it. It's been a while since I've been on the sewing machine – I needed a break after the exhibition prep – but these little pieces were a lovely way to get back into it. I don't think I'll post images of the finished pieces until after the festival, but I promise to keep up to date with progress as I make Summer and Autumn. It's been very satisfying finishing a quick project as I stitch away at the denim beast... More on that soon too. Looks interesting. When is the festival? I might pop down. I can't believe you can still do all this while you're packing up house to move. Although most of the detail is still about stuff that happened this year.